Last year, I did a round up of some of my favourites and this year definitely deserves another as it’s been such a good year entertainment-wise! So let’s just dive straight into it shall we? To my own surprise, as I am not much of a film person, I have seen some incredible ones that have left quite the impression. Plenty amazing films have been released this year, many of which are still on my ‘to-watch’ list unfortunately, but these are the ones I have seen… Hidden Figures, I wrote about this film earlier so I will not go into too much detail. All I will say is that this film, and the story it is based on, is so damn important. Girls Trip is one of those films, like the hilarious Bridesmaids that is just brilliant. Never have I laughed so much in the cinema!! Not only is this film hilarious, the underlying stories about true friendship and broken marriages are so important. Don’t let the jokes fool you, this is a true feminist film! Last but not least, I was kindly invited to watch Wonder Woman, which is yet another empowering film. I was pleasantly surprised by how much I liked it, as I haven’t seen any other recent Marvel production. All in all, I think this year has been great in terms of showing more female diversity on screen. We are not where we should be yet, but progress is being made. It hasn’t been a year of many ‘news’, I know that the world went crazy about Stranger Things and 13 Reasons Why, however I was still catching up on other series. The latest season of Orange is The New Black had me binge-watching all episodes in but two days! Yet another intense, emotional and incredibly moving season that kept me longing for the next! I am currently watching the second season of The Crown, a stunning production based on the life of Queen Elizabeth II. Even if the Royal Family is not exactly your cup of tea, I still recommend watching this, as you learn a lot about the history of England and the visuals are just incredible! Another series that I watched earlier this year is Girlboss, based on Sophia Amoruso’s life. Sophia is the founder of Nasty Gal and the series focuses on how Nasty Gal came about… very loosely based on the truth! If you are looking for something that is both hilarious, inspiring and motivating then this is perfect! Lastly, something very rare for me to be honest, but I was hooked after the first episode; Star is a drama about three girls trying to breakthrough in the music industry, with lots of crime involved. Normally I cannot stand musical-like films or series (unless they are Disney) but for Star I somehow made an exception. The story focuses on many social issues such as racism, which I think is what makes it interesting for me. I also have to admit that I quite like the songs they produced for this series! The started with me being OBSESSED with Touch by Little Mix. What a tune, it made me so excited for summer and these girls always lift my spirit/confidence/everything! Another song that I had on repeat was Aint My Fault by Zara Larsson. This girl just keeps on releasing tuuuunes! My spring was mostly soundtracked by Dua Lipa and Anne-Marie, both had amazing collaborations with Jean Paul, that made it impossible for me to sit still! Hands-down, the song that soundtracked my summer well into mid-October was Despacito by Luis Fonsi, Daddy Yankee and Justin Bieber. Unforgettable by Swae Lee and French Montana also proved to be quite unforgettable and soundtracked most of my nights out. To this day, I absolutely love it the DJ plays this song! Now this is where it becomes quite difficult to choose but one or two songs… Anything for Hurtin’ Me by Stefflon Don, Bodak Yellow by Cardi B, XO Tour Llif3 by Lil Uzi Vert, Finders Keepers by Mabel and Kojo Funds, and anything by Fifth Harmony, Stormzy, Drake and Post Malone just had me dancing! Most of them, very unexpectedly! If you’d have showed me this list last year I would probably laugh out loud! Unfortunately I did not get to read that many books this year, however out of the ones that I did read, The Sun is Also a Star by Nicola Yoon really stood out for me. I wrote a blogpost explaining why I think this book is so unique. 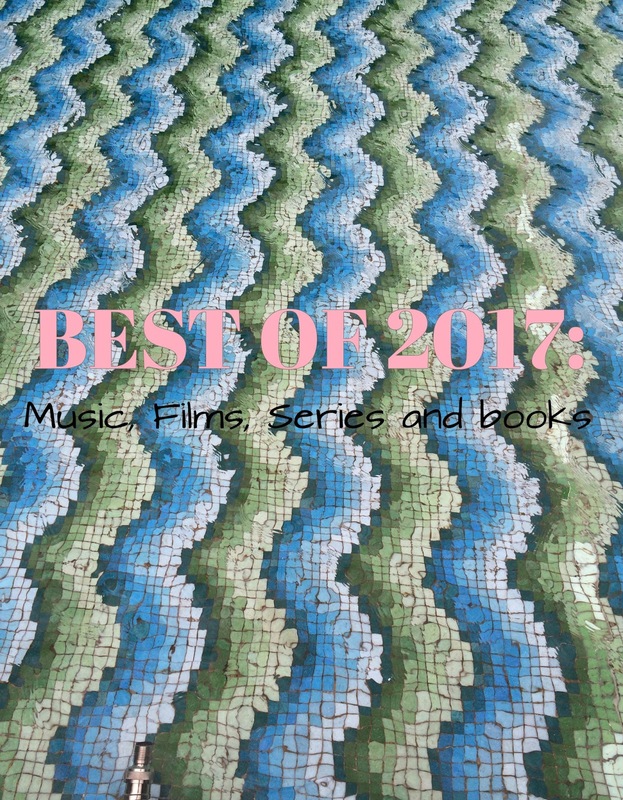 What were your 2017 favourites?